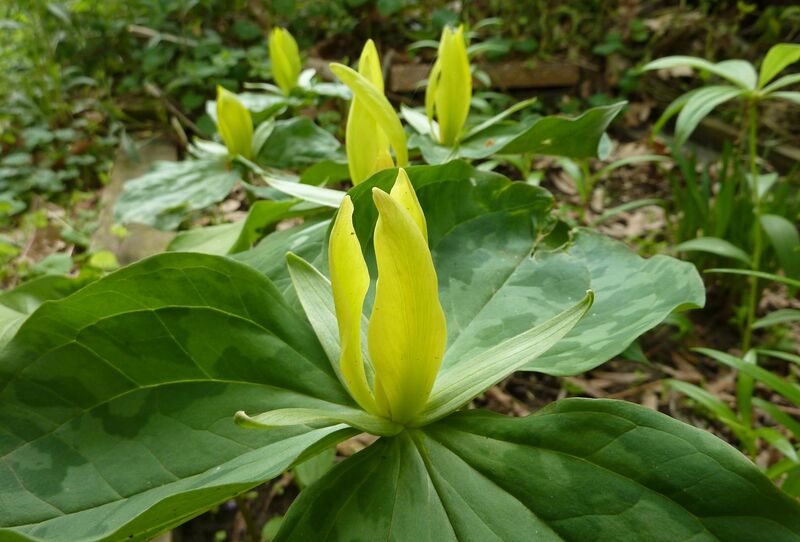 Trillium luteum is my second favorite species in this genus. The flowers are long very long lived and they have a lily like quality to them. It's not surprising that they're in the lily family either. They smell like lemon too. 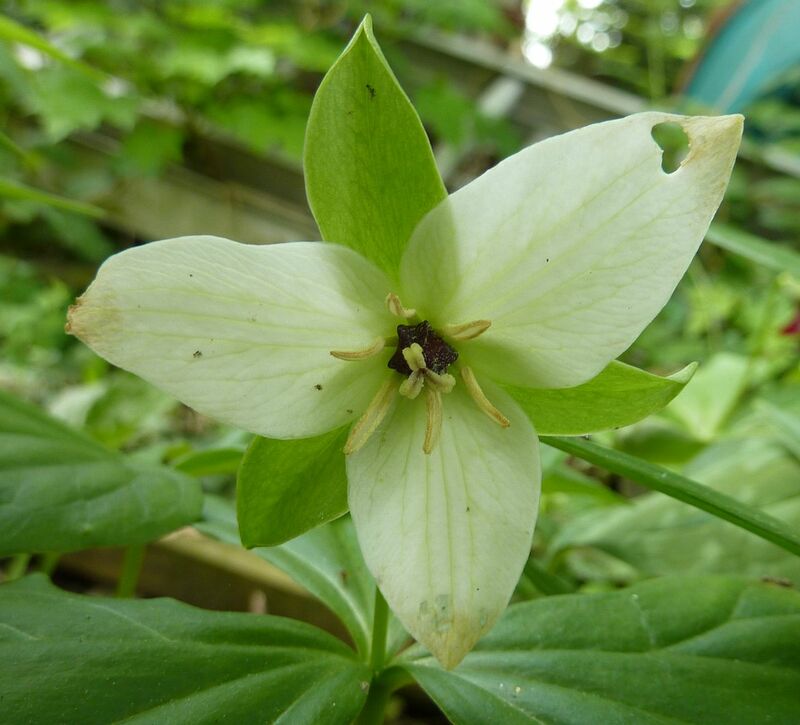 Trillium erectum is a species I planted years ago but didn't seem to be doing well. Of several individuals though this one beat the odds and flowered this year. It's really making me appreciate the color red. Normally I hate this color in the garden because it's too attractive, it draws the eye and is often distracting to have a red dot in the background. It's like adding an intended element in the background. This one though is so discrete I don't mind it at all. In fact I'm looking forward to other ones flowering and dividing in the coming years. 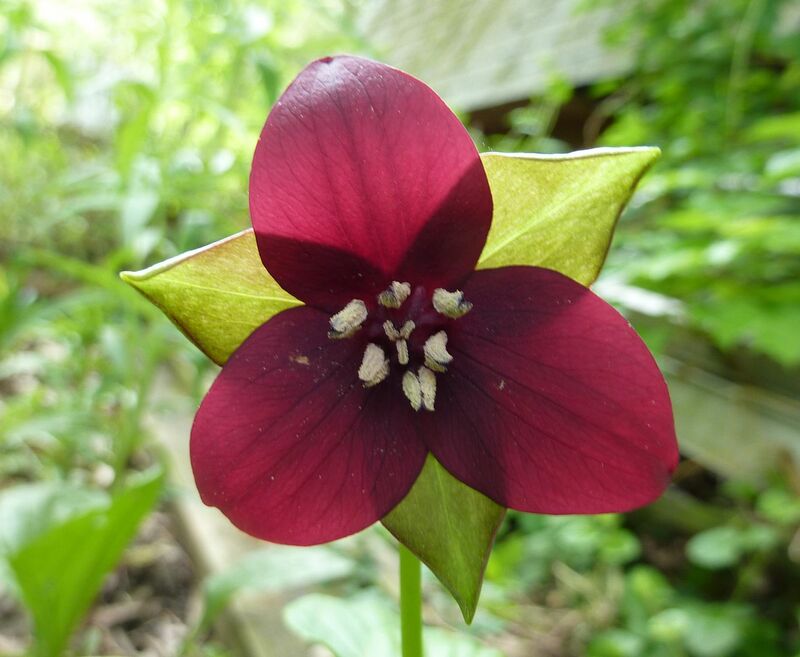 Trillium simile is having a bad year. 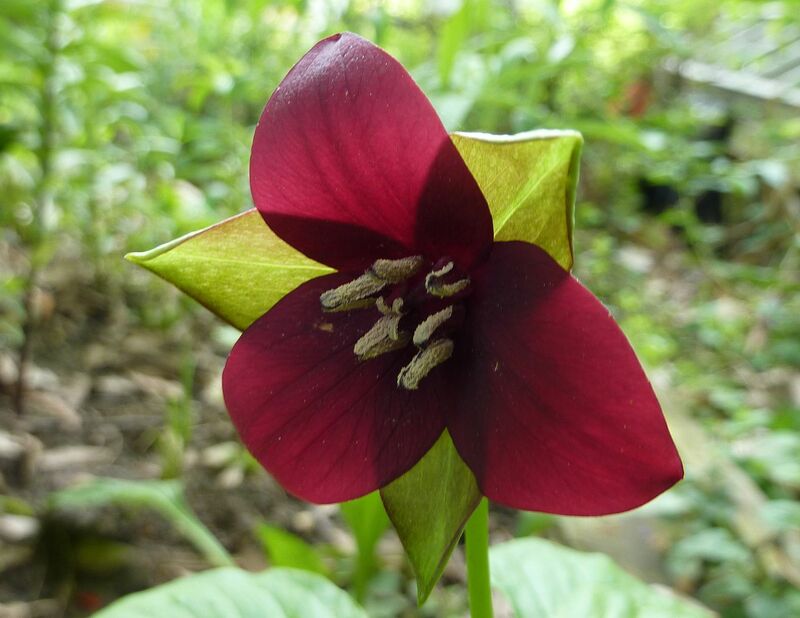 Last year I had two of this species flower. This year though only one is doing that and the flower doesn't look that great.